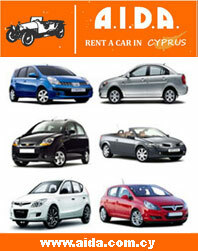 Situated in the middle of the Ayia Napa square with a wide selection of bikes for hire we can fulfill the needs for all. We are open daily from 9am till 9pm providing the best service around. We at Easy Riders help you choose where to go and how to go. We help you choose the speed and the time to get there. We make your holiday longer by moving you faster. Take it easy, ride with us!